Feeding wild birds and doves helps these wild creatures get through the winter months when other food sources are scarce. During the spring and summer, you are helping provide birds with easy access to food to feed their babies. You do not have to spend a fortune to feed wild birds. A couple feeders and some inexpensive birdseed is all you need. Purchase a premade bird feeder from a superstore or lawn and garden store. Many simple bird feeders are inexpensive. 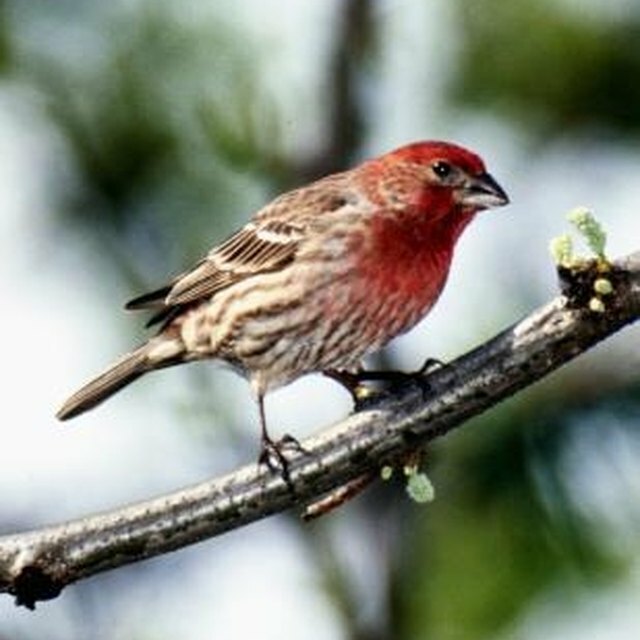 Hang your bird feeder near a window or attach it to a pole that you can stake in the ground near your home. Consider what types of birds you want to visit your feeder. Many wild birds will feed out of any standard hanging or platform feeder, but goldfinches and chickadees prefer tube feeders where they can avoid competition with bigger birds. Cut an orange or grapefruit in half if you want to make your own bird feeder. Eat or remove the contents and let the rind dry out. Use a needle to poke holes in the sides and thread strong string or fishing line through the holes so that the rind acts as a cup to hold the birdseed. Leave fruit out for migrating wild birds. Cut oranges and apples in half and place them on a nail or spike where birds can get to them. Berries, melons and bananas are other good fruits to leave out for robins, bluebirds, woodpeckers, warblers, sparrows and several others. Be careful about leaving out grapes or raisins. These fruits can be toxic to some birds if they consume them in large quantities. Purchase a suet cage from a home and garden store or superstore. Fill it with suet blocks in the winter. Suet mixes animal fat or peanut butter in with birdseed and helps give birds and doves the energy they need during the colder months. Keep your bird feeder clean to help prevent diseases from spreading. Dirty bird feeders can also contribute to intestinal problems and bacterial infections in birds. Empty your bird feeder regularly and wash it with a mild soap. Rinse and dry it thoroughly before refilling it. Remove your bird feeder for short periods if too many birds begin gathering at your feeder. Overfeeding is unnatural and too many birds trying to feed at the same place can lead to aggression. Knaebel, Amanda. "How to Feed Wild Birds and Doves." 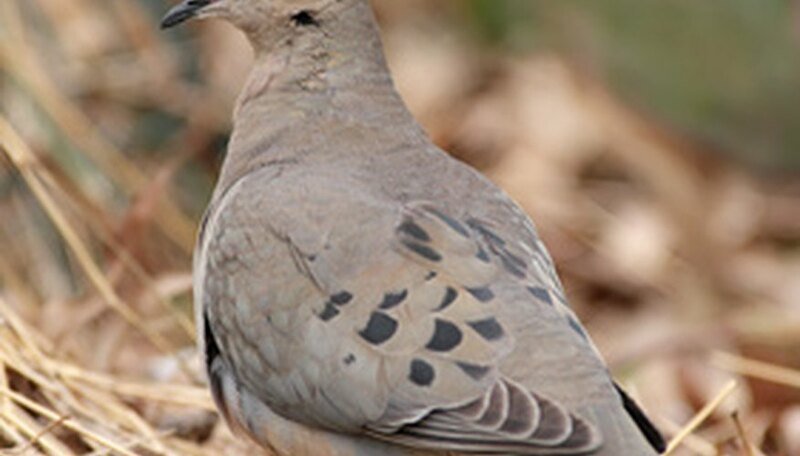 Sciencing, https://sciencing.com/feed-wild-birds-doves-6152522.html. 24 April 2017.